Searching for the top auto salvage yards in North Carolina? 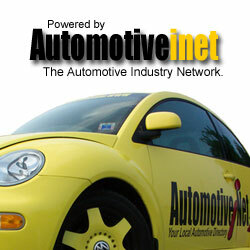 We have easy to follow information and links on where to buy the best used auto parts in NC. Simply find your local city or salvage yard and follow their links. Or you may choose to let us do the shopping for you via our Valet Shopper service. Including: Wake County, Raleigh, Knightdale, Zebulon, Wendell, Rolesville, Wake Forest, Garner, Apex, Cary, Morrisville, Durham, Chapel Hill, Clayton. Used auto parts sales, Salvage & junk car buyers, body shop, towing. B & B Used Auto Parts is a full service used auto parts sales and salvage yard serving the Charlotte, NC region and the entire US via nationwide shipping. Used auto parts sales, Buys 2000 newer wrecked, salvage vehicles. Used auto parts sales, New parts & Remanufactured. Including: Forsyth County, Winston Salem, Kernersville, Walkertown, Clemmons, Mt Airy, Huntsville, Lewisville, Tobaccoville, Yadkinville, Pilot Mountain. Used auto parts sales, Self Service Parts Yard, Scrap Metal & Junk Vehicle Buyers. Used auto parts sales, Salvage & junk car buying, scrap metal buyers, mobile car crushing. Including: Cumberland County, Fayetteville, Spring Lake, Fort Bragg, Pope, Hope Mills, Dunn, Southern Pines, Lumberton, Sanford, Pinehurst, Laurinburg, Rockingham. Used auto, truck & Jeep parts sales, salvage & junk car buying, used tires & wheels. Serving the Smithfield NC area. Including: Gaston County, Gastonia, Dallas, Lincolnton, Charlotte, Hickory, Cherryville, Kings Mountain, Mt. Holly, Belmont, Shelby, Huntersville, Statesville, Concord, Forest City, Black Mountain, Asheville, Morganton, Kannapolis and more. Late Model Used Auto & Truck Parts Sales, salvage & junk car buying. Serving the Gastonia NC area. Including:Cleveland, Salisbury, China Grove, Kannapolis, Lexington, Mooresville, Concord, Harrisburg, Charlotte, Huntersville, High Point, Winston Salem, Asheboro, Cleveland County NC areas. Including: Claremont, Hickory, Statesville, Morganton, Taylorsville, Lincolnton, Gastonia, Mooresville, Lenior, Lake Norman, Charlotte and Catawba County NC areas. Including: Catawba County, Hickory, Statesville, Conover, Catawba County, Charlotte, Lincolnton, Lenoir, Boone, Newton, Taylorsville, North Wilkesboro, Maion, Asheville, Morganton and others. Late Model Used Auto Parts Sales, Late Model Wrecked, Salvage & Car Buying in the Hickory NC area. Including: Wake County, Wendell, Raleigh, Knightdale, Cary, Morrisville, Garner, Durham, Wake Forest, Chapel Hill, Rolesville,Zebulon, Spring Hope, Nashville and other NC areas. Including: Hertford County, Ahoskie, Elizabeth City, Edenton, Williamston, Rocky Mount, Greenville, Plymouth, Hertford, Tarboro, Roanoke Rapids, Scotland Neck, Murfreesboroand other NC areas. Including:Danville, Pelham, Eden, Reidsville, Roxboro, Martinsville, South Boston, Greensboro, Henderson, Pittsylvania County and Caswell County areas.